Large fenced deck with patio set and 4 chairs. Please use the booking form for enquiries or text message with same information. We will respond immediately where possible. A non refundable £100 deposit is payable on booking. Balance of rental is due 6 weeks before arrival and will include an additional £100 refundable breakage deposit. Breakage deposit will be returned within 10 days of departure if no major issues. AS WE CANNOT ALWAYS RECEIVE CALLS PLEASE USE ENQUIRY FORM (email) OR TEXT MESSAGE RATHER THAN PHONE. WE WILL USUALLY REPLY WITHIN 24 HOURS. For all enquiries please state the names of persons in your party and the ages of all children under 16. 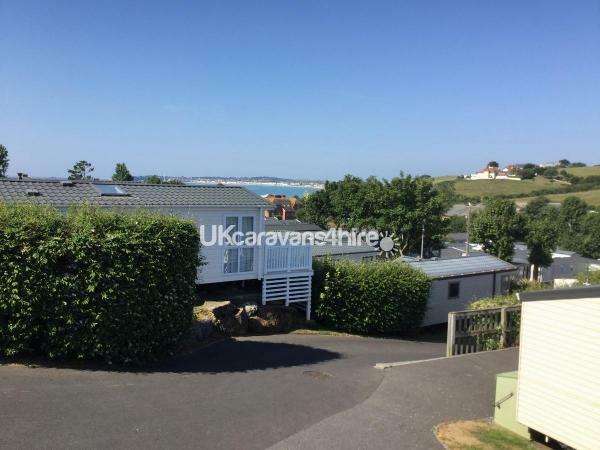 One of the best sites on the park, the Caravan occupies a sunny west facing position high in the sought after Red area with beautiful sea views over Weymouth Bay and panoramic views of the surrounding countryside, enjoyed from the spacious deck with patio set and chairs. Access to Waterside's entertainment complex, bars and restaurants is included in the rental. Access to Watersides swimming pools and gym can be arranged on check in at reception. Currently the charge for the pool is £3.60/£2.90 per day or £15/£12 per week per adult/child. All bedding duvets, pillows and linen is included as is cleaning on departure. A charge on the security deposit may be levied if additional cleaning is required. The Caravan comfortably sleeps 4, up to 6 max with use of the sofa bed. Unfortunately the caravan is not suitable for guests with limited mobility due to its elevated location. Please note that we let for full weeks only, Saturday to Saturday. We will be considering Monday to Monday if there is sufficient interest. A deposit of £100 is payable on booking, non refundable in the event of cancellation, loss or damage. The full rental is payable 6 weeks prior to arrival. The deposit will be refunded within 10 days of departure. 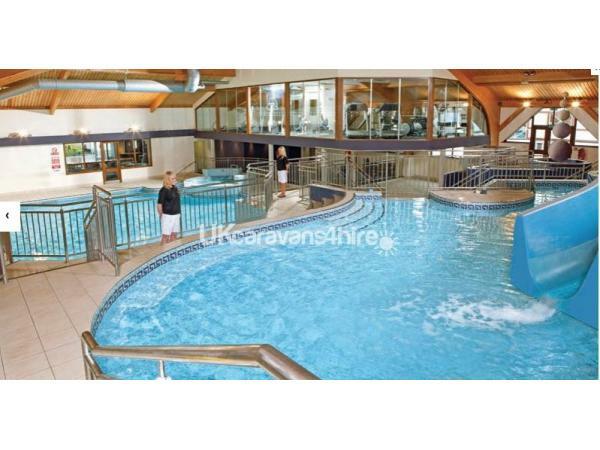 A coastal Dorset holiday park with luxury holiday homes and 5* leisure facilities. Relax in comfort and take advantage of all the holiday park's facilities and entertainment while you enjoy the stunning Jurassic coast. large indoor pool, waterslides, kids fun splash zones, heated outdoor pool, bubble pool, sauna, steam room and sun terrace. Full time lifeguards. The Sports Bar, Diner & Pizzeria open day and night serving a wide range of meals, snacks and Costa coffee. Free WiFi. Takeaway serving the usual favourites from fish’n’chips to curries. Leisure park and football pitch. Training programmes by Bournemouth FC (TBC, high season only). Well equipped spa including: facial, nails, massage, tanning and waxing treatments; hydrotherapy pool, monsoon and rainforest showers, aroma steam room, sauna and relaxation loungers. Reasonable prices, booking advised. Waterside Holiday Park is perfect for children and adults ! I took my 89 year old mother and 2 great newphews (8 & 10) and we all had an amazing week. 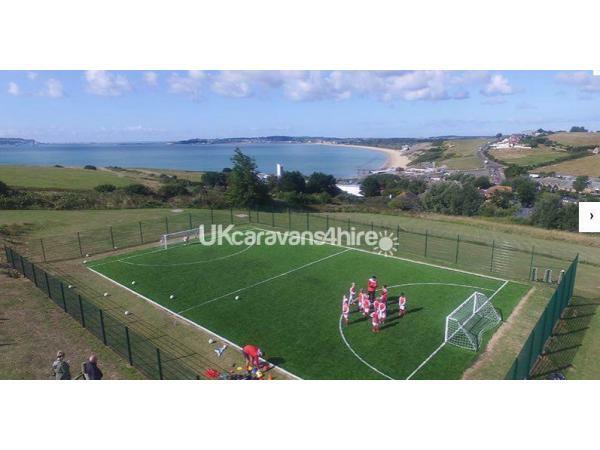 The site has everything you need including a fantastic indoor pool, 2 outdoor play areas and an all weather football pitch. Our caravan was spacious, spotlessly clean and beautifully kitted out. 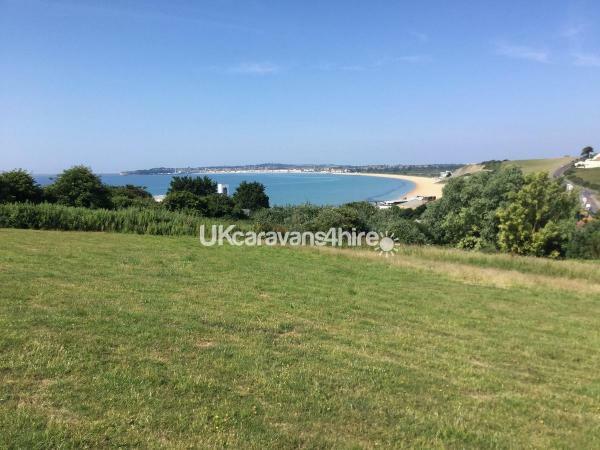 The caravan is at the top of the site so had views of the sea and was in a peaceful location. The staff are 1st class and visible so the kids had a lot of freedom to ride their hire bikes, explore and make friends. This is the No. 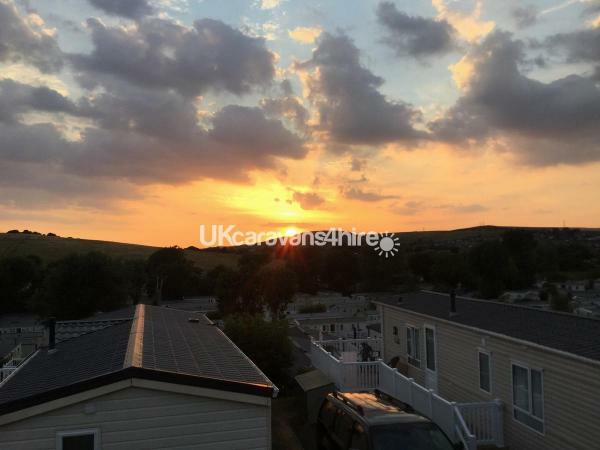 1 caravan park in Weymouth and probably one of the best caravans on site. We are booking for next year!! Thank you Mary. Glad you enjoyed your stay and hope you will stay again next year! Can’t have too much of a good thing!